In this weekly column, we'll be selecting inexpensive, discarded titles from still playable consoles for your perusal. They may be games you've heard of and remember playing, or they may be games that have flown completely off of your radar. Just know that we love them and they're available on the cheap. That's a bonafide win/win situation. 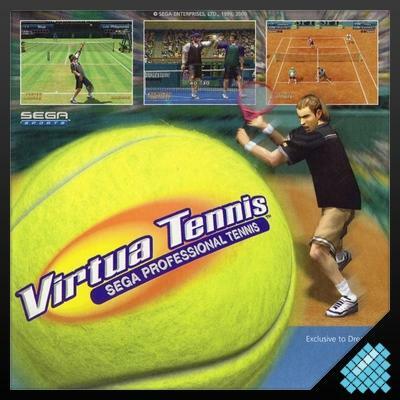 Nowadays, Virtua Tennis is one of Sega's larger franchises that has seen several sequels across nearly all platforms. However, back in 1999, when the first title released for the Sega Dreamcast, Virtua Tennis took most by complete surprise. We'll contend that the Dreamcast version of the game is, in fact, the best in the series. Moreover, it's the one most gamers today probably never played. With that, we've decided to make this week's Hidden Gem the original Virtua Tennis. As far as Dreamcast games go, this is one of the best available. You can find it used for like $5 on places like Amazon, and it stands as a must-own for collectors of classic games. The tennis is downright simplistic here, as those who pick it for the first time will have a basic understanding of the gameplay within seconds. The entire thing is restricted to the analog stick and A and B. That's it. From there, you'll be able to aim and tweak shots by holding one of those three inputs in a certain way. It sounds easy, but it plays perfectly. There's tournament play and a bunch of mini-games to enjoy here as well. Virtua Tennis is an outstanding party game that, if doled out with a good measure of party supplies, can turn a decent night into a silly one. Best sports game ever? It's up there. Believe it.